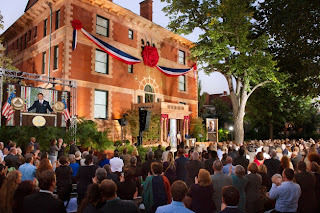 Sunday October 21st, an audience of over 1500, including mayors, dignitaries and other special guests, attended a musical spectacular hosted by the Church of Scientology at Saint Hill Manor. The Royal National Lifeboat Institution, a charitable institution founded in 1824 to save lives at sea, was the beneficiary of this 16th annual Gala Charity Concert staged in the Grand Marquee—one of the largest marquees in Europe. Mistress of Ceremonies Marisol Nichols, a star from Fox Television's drama series "24", introduced an audience from around the world to a wide spectrum of music. They were treated to top class acts, from award-winning Gospel singer Jesse Stevenson and Italian Queen of Jazz Elena Roggero to rapper Chill E.B. Special guest Rebecca Grant, singer and actress known for playing Nurse Daisha Anderson in "Holby City", joined The Jive Acres—the UK's top jive band—for two of their high octane numbers. Over the 16 years that the Saint Hill Gala Charity Concert has been taking place, numerous and varied charities have been supported—from the Sussex Air Ambulance and RSPCA, to the National Drug Prevention Alliance and the Bluebell Railway Trust. The concert follows the tradition initiated by L. Ron Hubbard in the 1960's when Saint Hill Manor was his home and he supported many of the local charities. Speaking on behalf of the Royal National Lifeboat Institution, Mr. Peter Tarrant said he was overwhelmed with the cheque for £50,000, which he received on stage from Ms Marianne Rowell of the Church of Scientology. He said this will fund the Lifeboat Crew Room at the brand new Lifeboat Station in Cowes, Isle of Wight. Mr Tarrant expressed his gratitude to the L. Ron Hubbard Foundation and the Church of Scientology and all who made the concert possible. He said, "This enormous contribution will mean so much to our life-saving activities. I also love the special connection with Master Mariner L. Ron Hubbard who supported the RNLI when he lived at Saint Hill Manor." Yulia Gould spans the landscape of arts, professions and interests. A Clearwater, Florida-based graphic artist, professional interpreter, public relations officer and events coordinator, she is also a certified scuba diver who loves skiing, skydiving and traveling the world. And although raised in the Soviet Union where the only “religion” was atheism, she has been a Scientologist since she was 14. From a background where freedom and basic human rights were not available, Gould doesn’t take these rights for granted. One of her passions is promoting religious and cultural diversity, a goal she pursues by volunteering in groups that promote religious tolerance. And she is particularly proud that her painting “The Awakening” is part of the collection of the founder of the “Pave the Way Foundation,” a nonsectarian public foundation that identifies and eliminates obstacles between faiths. Yulia became involved in Scientology in Russia after the fall of the Soviet Union. Gould and her parents enrolled in a Dianetics seminar in Moscow. “It answered all my question about human behavior—why people sometimes act in a way that seems to have no explanation. I realized here was something that could change my life and the lives of others for the better,” she says. The entire family continued to study and practice Scientology and Dianetics and it made an enormous difference in Gould’s life. To meet Scientologists from all walks of life, view more than 200 “Meet a Scientologist” videos on www.Scientology.org. 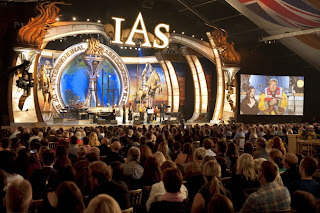 A digital pioneer and leader in the online religious community, in April 2008 the Church of Scientology became the first major religion to launch its own official YouTube Video Channel, with videos now viewed more than 8.1 million times. While to bring those solutions to bear, the Church sponsorship of permanent centers to act as “generation plants,” which thereby set in motion broad-scale movements in the name of morality, literacy, drug prevention and rehabilitation. Paramount King Molefe of South Africa introduced Scientology Volunteer Ministers and their program to more than 100 tribal kings and chiefs on Mampuru Day, an annual celebration of freedom. Paramount King Molefe, traditional king of the Batlokwa Nation, introduced the Scientology Volunteer Ministers program to scores of chiefs and kings and some 5,000 tribal members from across South Africa at this year’s Mampuru Day celebration in the village of Mamone, in Limpopo, the northernmost province of the country. Dubbed the country’s first freedom fighter by Nelson Mandela, King Mampuru refused to submit his people to virtual slavery in British and Boer mines and farms and was hanged by the colonial South African government in 1883. In his speech to those gathered, Paramount King Molefe likened the legacy of King Mampuru to the opportunities now available through the Volunteer Ministers movement: a new route to freedom that can be traveled in today’s world—a route based on knowledge. He encouraged the traditional leaders to empower their people with the effective life skills provided through Volunteer Minister seminars and workshops. 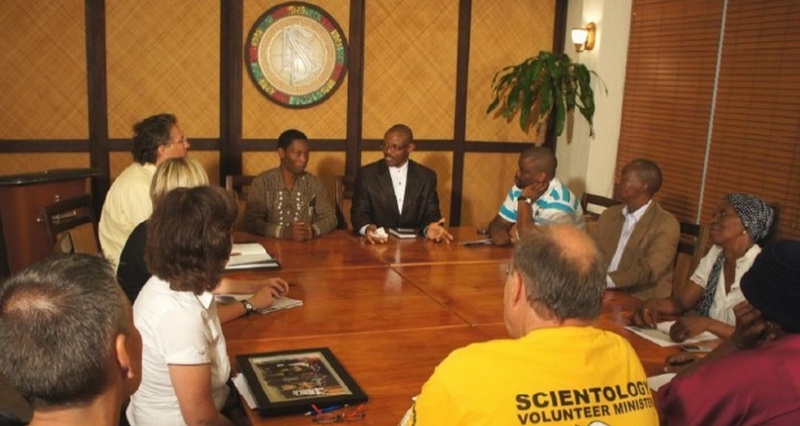 King Molefe learned of the program while visiting the Church of Scientology of Johannesburg last year and arranged for himself, his staff and his people to be trained in the full array of Scientology Volunteer Minister technology including communication skills, conflict resolution, personal integrity, literacy and parenting. The South African Scientology Volunteer Ministers were invited to erect their yellow tent on the tribal lands of the Mampuru royalty in the village of Mamone where the annual celebration takes place. Among the honored guests were traditional African royalty and chiefs representing tribes from across southern Africa including the Ba-Pedi, Batlokwas, Xhosas, and Zulus, many of whom watched the proceedings from the Volunteer Ministers tent. For more information on the Church of Scientology of Johannesburg visitwww.Scientology.org.za. To learn more about the Scientology Volunteer Ministers or to enroll in free online courses in this technology, visit www.VolunteerMinisters.org. 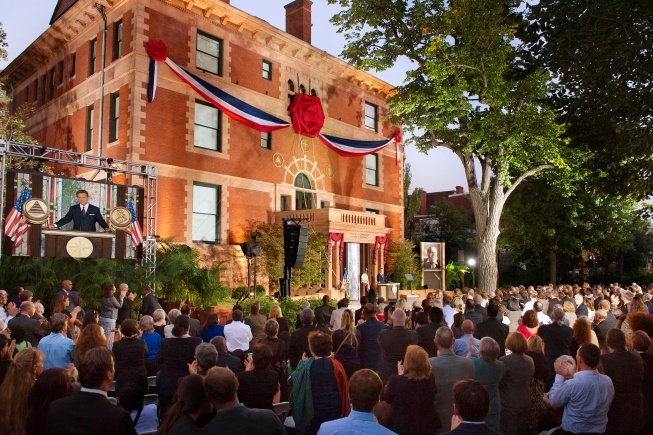 It is traditional in the Church of Scientology to celebrate Ron's birthday by doing all you can to advance yourself spiritually and disseminate Scientology to others, help in the community--all the things LRH was trying to accomplish to help people regain their native abilities, improve conditions in their lives and thrive. The only tests of a life well lived are: Did he do what he intended? And were people glad he lived? People have often desired me to write an autobiography and while I would be perfectly willing to do so had I the time, I consider such a work, as I do myself, quite unimportant. I have led an adventurous life and it would possibly be entertaining to read, but I doubt such a work would shed any background light on my researches and would not clarify my intentions or why I developed Dianetics and Scientology. I tried to avoid, until July 1950, saying I had personally done the research but then owned to it when I saw that unowned, it could be lost in its original form. My motives have not included amassing great wealth. The royalties of the first book, Dianetics: The Modern Science of Mental Health, were given to the first Foundation. So it is not wealth. Power has not been my motive. I only held office in organizations to insist upon correct usage of the work, and this having been achieved sometime since, I resigned all directorships and retained only an honorary post. Further, one cannot have more power than he himself already has as a being; so power by reason of position I consider pointless and a waste of time. My motives are so hard to understand because they largely omit me from the equation. And self-centered men are not likely to understand such a thing since they know they would not forgo fame, wealth or power and so conceive that another would not. The Scientology system of ethics is based wholly on reason (Scientology.org).